Tribute to Encarnación Marín "La Sallago"
Reveals "Bulerías" secrets of the great master accompanists of flamenco, offering unique and innovative material in flamenco pedagogy. Aimed at new guitarists and professionals it offers the opportunity to analyse and interpret falsetas, remates, different accompaniment tricks, different rasgueos and chords depending on the chosen guitarist and his era. 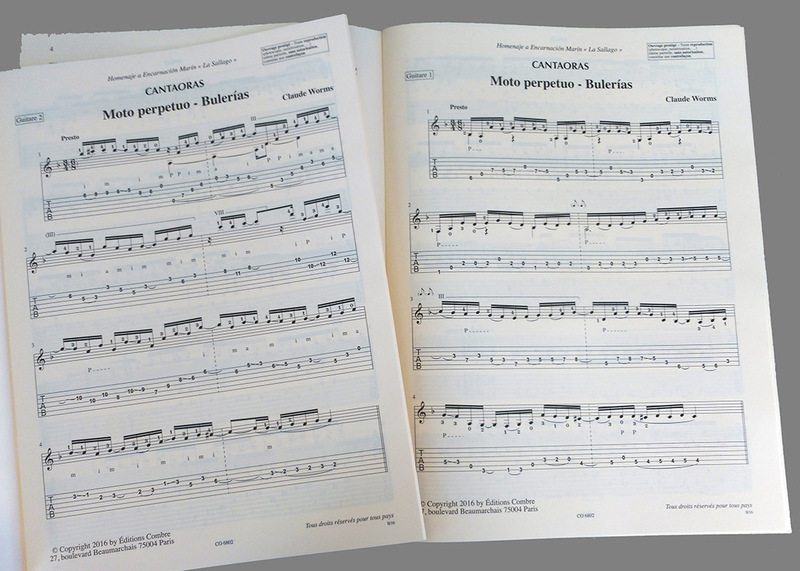 Falsetas book for two guitars.